After trying to help Benjamin Pearl, an undernourished, nearly feral 11-year-old boy living in the Montana wilderness, social worker Pete Snow comes face-to-face with the boy's profoundly disturbed father, Jeremiah. With courage and caution, Pete slowly earns a measure of trust from this paranoid survivalist itching for a final conflict that will signal the coming End Times. Very, very well written. It was hard to turn this one off - because the story took so many twists and turns I was never sure what was going to happen next. 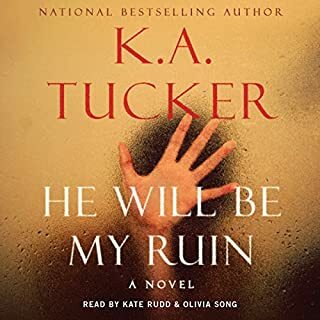 It was fairly emotional listening - at times I felt as battered and bruised as the main character - but that's what good writing is all about - engaging the reader - right??? Would you consider the audio edition of Fourth of July Creek to be better than the print version? Yes because of the great narration. Andrews and Lamia are great and give a dimension to the book I would not have picked up reading it. Which character – as performed by MacLeod Andrews and Jenna Lamia – was your favorite? Rose--complex, sad, trapped, and trying her best in awful situations. This is an intense and well developed story about people most of us would never know or want to know. The characters however are well developed and accessible and beautifully portrayed by the narrators. The story was complex but not so much that it wasn't an enjoyable listen. I'm breathless, nearly speechless. ..
Would you listen to Fourth of July Creek again? Why? No, because it's fixed so perfectly in my mind. It feels like a part of my memory. Pete, who never gave up on people. What about MacLeod Andrews and Jenna Lamia ’s performance did you like? Andrews had the rhythms of a man who has seen the worst of humanity, but still gets up and does his job every day. When he switches to Benjamin or Cecil, you can hear a young boy in his voice. And he is able to portray the gruffness of Jeremiah without bombast. Lamia was perfect for Rachel/Rose. Her cadences were those of a reflective, sometimes insightful young girl who has (somewhat deliberately) had to grow up fast. Sometimes the best thing you can do is the worst thing you can do. Cloninger is the perfect foil for all the manifestations of evil in Pete's universe. And even incidental characters, like the judge and the pawnshop owner's relative, are believably flawed and human. Each could be the nucleus of another story. Fourth of July Creek (FOJC) was in my audible wish list for 8 months before I pulled the triggered and made the purchase. The author, Smith Henderson, was publically lauded as the next big deal writer and received exemplary book reviews from almost all the major book critics. I was not at all disappointed with FOJC and should not have hesitated to engage this entraining and throughout provoking book. Henderson is a magnificent writer who brings the reader into situations and communities one would never have an opportunity to experience. FOJC is realistic, gritty, and full of deep meaningful concepts lying just underneath the facades of the main characters. The book can be enjoyed solely based on the story or as an examination of communities in rural America. I'd not heard of Smith Henderson. He has won both the Pushcart Prize and a PEN Emerging Writers Award in 2011; he also wrote the Emmy-nominated Super Bowl commercial “Halftime in America” which featured Clint Eastwood. The buzz in such circles that follow these kind of *accomplishments* has his name and the *Great American Novel* in the same orbit. 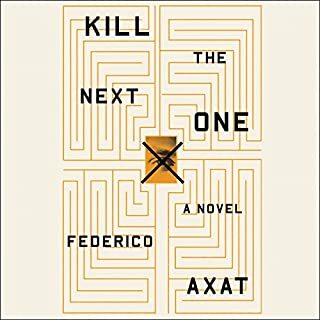 Oblivious to Henderson prior to Audible's *Best of the Month* book list, I found myself, throughout this one, asking, "Can this truly be a debut novel?" It is no coincidence that Henderson dips his toe into the book writing business with the aptly named Fourth of July Creek. 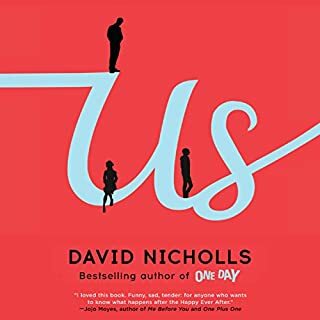 His depiction of 1980's America is heartbreaking and beautiful -- the kind of story flowing with the flotsam and jetsam down-and-outters that would have inspired a Woody Guthrie song. Like watching the ripples radiate from a rock thrown into Henderson's creek, the story grows and encompasses different themes and struggles until it slams onto the landscape of 'this land made for you and me' of today. How is it that we go on reading when an author makes us ache to our bones? When we can see the projection of an inevitable disaster, the futility of any effort, the cruelty of hope? Because Henderson's language is like a healing balm. It is elegant and rings with bare truth. He glides effortlessly from despair and ugliness to the beautiful realism redolent of Woodrell's *hillbilly noir* novel Winter's Bone, and the zen-like beauty of Heller's Dog Stars. It is restorative, redemptive. How can this be a debut novel? I'll admit 5 stars is generous. It takes a commitment to get going, and it is a gritty tough novel -- but it is worth it. Novels that still vibrate in you long after you finish them, or when you hear the title mentioned, are rare. This one is like a Steinbeck and McCarthy novel taped together, with a Guthrie and Springsteen soundtrack running through the pages. 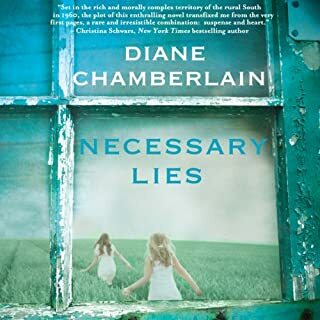 **I will caution readers: the female characters here range from meth-head child abusers to full blown mental cases that murder their whole families, with nothing in between but prostitutes and hard-boiled backwoods ignoramuses. If you are looking for the positive female pillar of righteousness...wrong book. This is a grim book reminiscent of Russell Banks’ brooding books of boyhood in New Hampshire (e.g. Affliction). 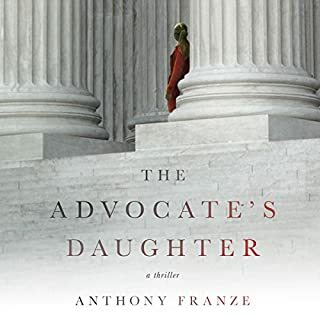 Told from the perspective of Pete, a Montana Department of Family Services caseworker who himself would be a prime candidate for psychiatric services, the book details the travails of Pete’s broken family, run away prostituted daughter, on the lamb brother and more centrally Jeremiah Pearl and family. Pearl has banished himself to the Montana wilderness on the strength of his wife’s vision of the end of the civilized world. Pete encounters Benjamin Pearl when he wanders into a local school. Jeremiah’s son is in bad shape, undernourished and wearing threadbare clothes – life in the Montana wilderness is no picnic. Jeremiah snatches him back and rejects any assistance from Pete. It is quickly apparent that Pearl is a right wing nutcase though exactly how much his act is composed of real violence and how much bravado is unclear until the book’s conclusion. When confronted with a dinosaur bone Benjamin finds (there are such bones in Montana) Pearl insists the earth is six-thousand years old and that such “evidence” of prehistoric remains are the work of Satan. Typical of survivalists who surround themselves with guns, Pearl believes the dollar is fiat currency that will soon collapse. He drills holes in the heads of presidential coins and dresses them up with minute symbolism including swastikas and ZOG (Zionist Occupational Government). The coins are popular with fellow right wing travelers in the Northwest. The feds move in to try to find Pearl. In their search some are decent but a few treat the locals, including Pete, with disdain and occasional violence lending credence to the arguments of Pearl and his ilk. 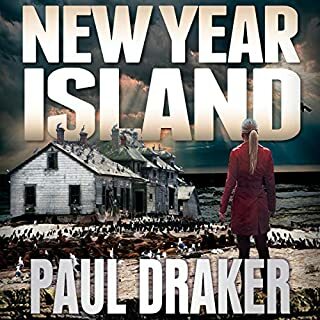 The book is bleak, no way around that, but the plot holds together with a bit of a conclusion that wraps things up albeit somewhat on the pull it out of the fire before it melts side of things. Pete goes on with his work although his life is shattered and the lives around him are likely only temporarily in tenuous equilibrium. 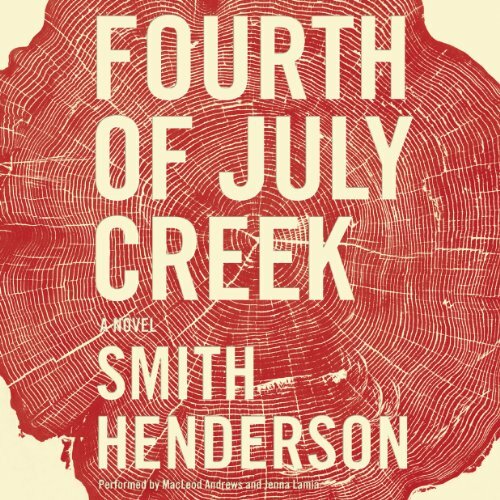 Smith Henderson’s "Fourth of July Creek" is about broken lives and institutional failure. After two chapters, a listener wonders, “Is this America”? Henderson vivifies a part of America conditioned by high divorce rates, sexual exploitation, substance abuse, and institutionalized apathy. Henderson’s hero, Pete Snow, is a divorced, alcoholic social worker. Snow works in child welfare services, covering a large area of Montana. Snow makes a point of saying he is not a cop whenever he is investigating a home with children that are suspected of being neglected. Though Snow is careful to distance himself from police, he is mired in the same dark side of humanity. Snow is a character that sees the worst side of human nature; i.e. like a cop, Snow is exposed to a world of human’ degradation that fills and empties his life. Henderson frames a story that captures American government failure. The book can be listened to as a cautionary tale, a call to action, or just a well written tale of travail. At the very least, one comes away with the feeling of how lucky they are to have not lived the life of one of Henderson’s characters. MacLeod Andrews’ and Jenna Lamia’s narration add to the drama of Henderson’s expertly written fiction. Sure. The colorful similes, metaphors and illustrative writing was a treat to my ears. Rose. I've got teenagers and remember making all sorts of bad decisions at that age. What does MacLeod Andrews and Jenna Lamia bring to the story that you wouldn’t experience if you just read the book? The Jenna chapters were outstanding. The woman has talent! So does, Andrews. He captured the characters well and was an outstanding narrator. He's no Bronson Pinchot, but he's got chops. If you could take any character from Fourth of July Creek out to dinner, who would it be and why? Pete. I like to drink. One of the best books in a while. Beautifully and unselfconsciously written, a story that kept my interest without sensationalism. A story of the darkest of humanity, yet with redemption. Narration compelling and compliments the book. This is a dark book with numerous unlikeable characters who make some really bad decisions. This seems to be the year of dark stories with books such as The Enchanted and An Untamed State. While for me the tone of the two aforementioned books rang true and I found them both excellent; I did not find Fourth of July Creek as compelling. Part of my problem with the book is personal. I have an aversion to stupidity and while I can happily read about somene with no redeeming characteristics (I loved Hannibal Lechter), I cringe at watching characters making one stupid move after another. My other problem was the language. There are times that the language just sings. It is beautiful and lyrical. However, it did not seem real that a high school drop out could on occassion wax poetically like somone with a MFA in English. Given that, the book does a good job of involving you and making you care about the characters.